Human beings have a strange compulsion to build structures that “reach to the heavens”. According to Genesis 11:4, that was the rationale for the Tower of Babel several thousand years ago, and they’ve been at it ever since. Personally, I’m content to stand on level ground, hold my hands up and say, “Wow, look at me, I’m reaching to the heavens.” I’d much rather do that than stand on the narrow platform of, say, the Space Needle in Seattle and hold my hands up. That’s because I’m not fond of heights. Hate ’em, actually. It’s not that I haven’t given them a fair try, either. 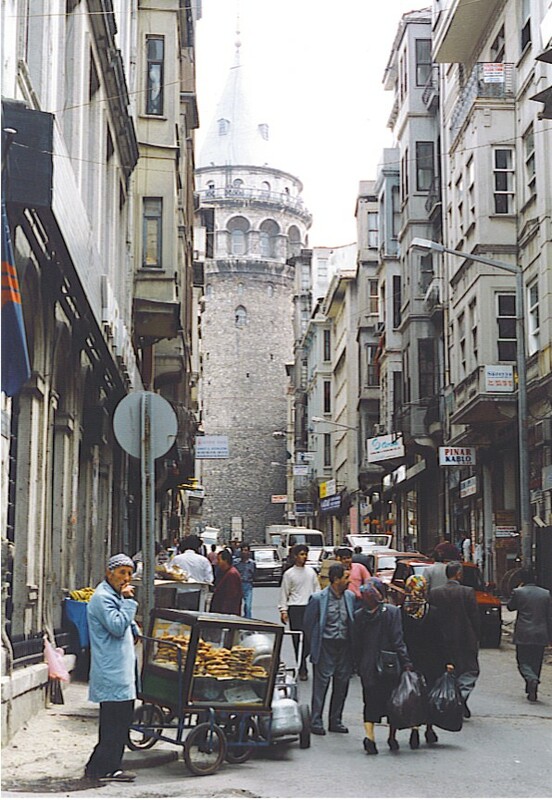 Over the years my family and other traveling companions have coaxed me to the top of the Space Needle, the Washington Monument, the Sears Tower, the John Hancock Center and some structures you may not have even heard of, like the Galata Tower in Istanbul. I have had sweaty palms and dizziness in high places all over the world. The Eiffel Tower? Sure. I made it… well, approximately halfway up. The Empire State Building? I reached the elevator that goes up to the observation deck before I began to lose consciousness. I’ll admit that when you’re several hundred feet above the sidewalk, the scenery can be breathtaking. I know, becuase I’ve attempted to take breaths up there. That’s not easy to do when your heart is ricocheting around in your chest cavity. Tourists wait in long lines to get to the top of these tall structures, and then jostle each other to get a better view, pressing against the knee-high guard rails. Which, I’m pretty sure, are made of twine. High places are so popular with the general public that architects keep making more of them. The title “world’s tallest building” changes almost as frequently as “world’s oldest person”. Any idea what the world’s tallest building is? Go ahead, take a guess… Nope. It’s currently Taipei 101, in Taiwan, which stands 1,670 feet tall. It will be losing its title soon to the under-construction Burj Dubai Tower in United Arab Emirates, which will top out later in 2009 at over 2,600 feet (including an enormous spire). Most of the ridiculously tall buildings are in Asia — the Petronas Towers in Malaysia held the “world’s tallest” title for a few years, at 1,483 feet each. Five of the top twenty-five in the world are in Hong Kong. China has several others. What about the Sears Tower in Chicago, you may ask? First of all, as of mid-July, it’s now called the Willis Tower, for the British brokerage firm that occupies it. It will move down to fifth place when Burj Dubai claims the number-one spot. The Empire State Building, at a mere 1,250 feet, drops to tenth. By the end of this year there will be thirty buildings over 1,000 feet tall, and that doesn’t include the Eiffel Tower, which is technically a “structure”, not a building. There are already buildings in the planning stages that will someday surpass Burj Dubai Tower. Fine — let them keep reaching to the heavens, but I’ve had enough of high viewpoints. From now on, I’m thinking of lowering myself down into caves and crawling around in cramped, dark places. For some reason, caves don’t bother me. I applaud you for being willing to go into a cave. Me? I’m an equal opportunity phobic. My problem starts when the elevator door shuts and creates a tiny enclosed space. Then, if I make it to the top, I prefer looking at the view from anywhere but a point from which I can fall. And the viewing platforms with the glass floors? Oh…my…God!